Nationwide Platforms, a rental company, has added the quick response barcodes for use by smartphone owners. The rental company, Nationwide Platforms, has just announced that it has affixed QR codes to its equipment in order to make it easier for smartphone users to be able to lower the risk of emergency situations. Though print documentation is already available, the barcodes are used to provide this and additional information. 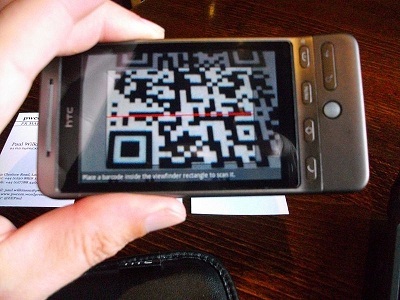 QR codes were selected because they are now recognized by many people, and because the majority of individuals have a smartphone or tablet that is able to scan these barcodes in order to obtain the related info. Most of the fleet at Nationwide Platforms has already been fitted with its stickers, which provide a direct link to guidance to lower emergencies. The QR codes are customized for each distinct equipment model or group of models across the United Kingdom. Nearly all of the fleet’s units will have QR codes affixed to them by the end of the year, according to the plans of the program. This includes those that the business will purchase throughout 2013. The barcodes will be printed on stickers that are fitted directly onto the base of the machine. Beyond using the QR codes as a type of practical tool, the company is hoping that this effort will also have a broader impact that will help to better the awareness surrounding the importance of becoming familiar with the safety procedures associated with the equipment. Similarly, Peter Douglas, the operations director, added to that statement, saying that using powered access is being increasingly recognized as among the most effective and safe techniques for functioning with the greatest levels worldwide. He said that as the market leader in the United Kingdom, it has become their purpose to add to and achieve greater safety accomplishments, be that through “innovation, investment, or simply taking the lead in making a difference.” QR codes fit into this strategy quite smoothly.